After my so-so relaxer touch up experience last week, I was looking forward to taking care of my hair again. As with most of the relaxer touch ups I've had after five or so days my hair starts looking flat and weighed down making me really excited to wash my relaxed hair and bring it back to life. 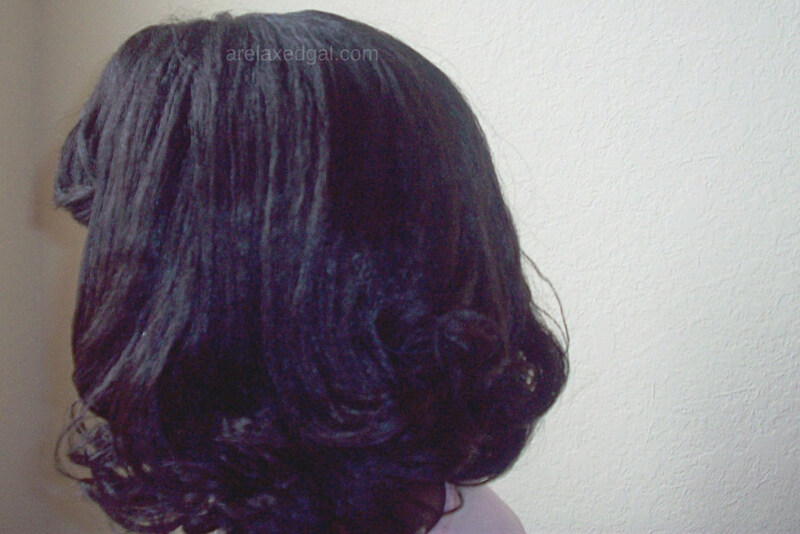 The result was my hair looked and felt moisturized. The next day I was scheduled to have some professional pictures done (if I like them I'll share) and planned to wear my hair curly. I wanted to make sure the curl held and decided to try Carols Daughter Hair Milk Conditioning Styling Pudding that I picked up at Target for $12 + tax. Before applying the Carols Daughter Hair Milk pudding to my whole head I decided to test it out on a couple of sections of my hair. That was a good idea. I applied the pudding to two sections and then used my steamrollers. After 15 minutes I took out the rollers and those sections of my hair felt so dry. Needless to say, I didn't use any more of the pudding and returned it. Despite that minor hiccup, the curls looked great. To get the moisture back in the sections that I used the pudding on, I deep conditioned my ends the next day for about two hours and all was right with the world again. I have been experiencing some itching and flaking on my scalp though which I think has more to do with what I didn't use (apple cider vinegar) than what I did use. My participation in the Hairlista Castor Oil Challenge has helped because I'm doing scalp massages twice a week with Jamaican Black Castor Oil. 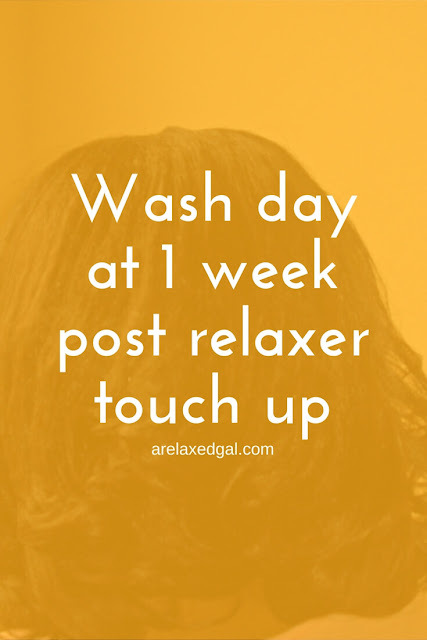 While the Jamaican Black Castor Oil helps I'll probably co-wash mid week and make sure I do an apple cider vinegar rinse. 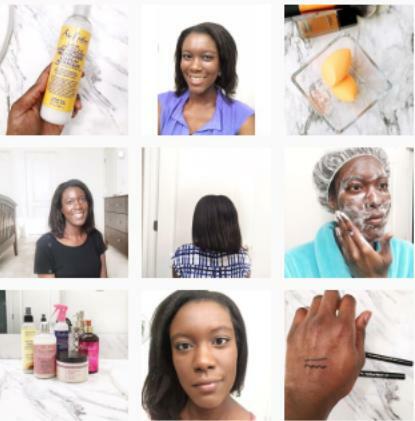 What is your favorite styling product? You just reminded me to dust off my steam rollers! I haven't really used them since I chopped off my ends. Fingers crossed that I can still get some gorgeous curls! I've used CD's styling pudding in the past and---meh---I hated it. 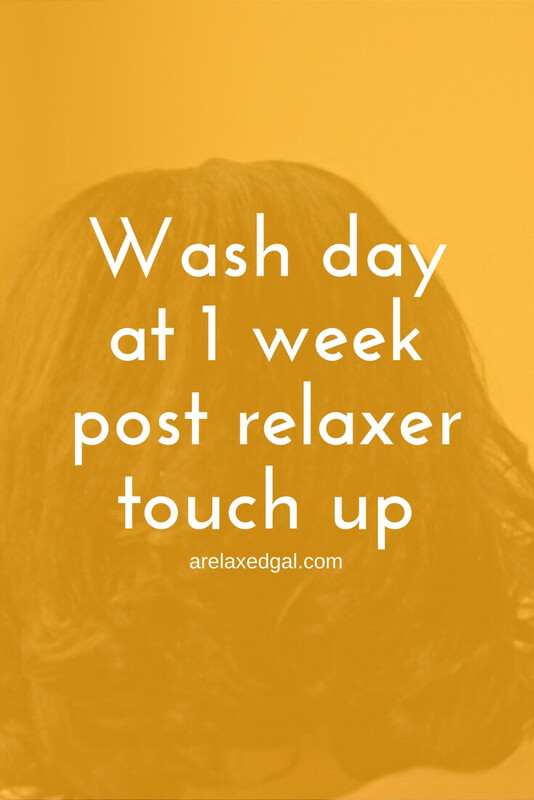 The smell was terrible and it does leave your hair feeling dry and coated. A friend told me to use a moisturizing product first---then just a dab of the CD styling pudding. Which---I did...and the results were better but not amazing. CD products are totally hit or miss for my hair. 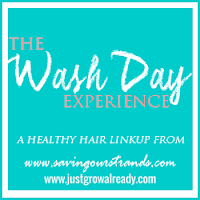 Anywhos--thanks for sharing your #washdayexperience chica!